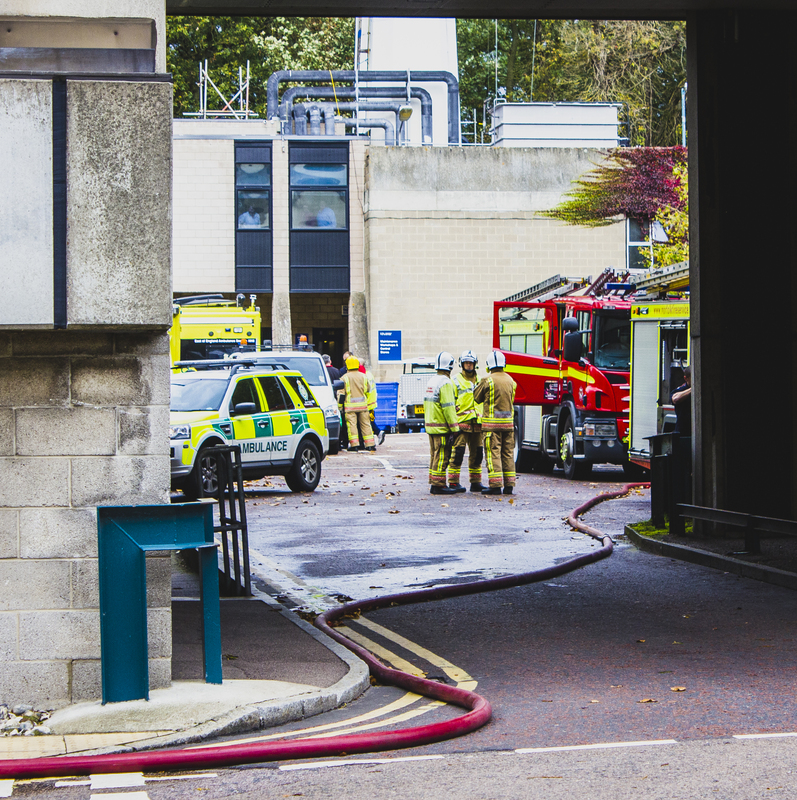 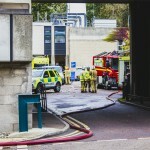 The Fire Brigade was called to UEA this morning following a small fire, which started at 10:25, in the School of Chemistry. 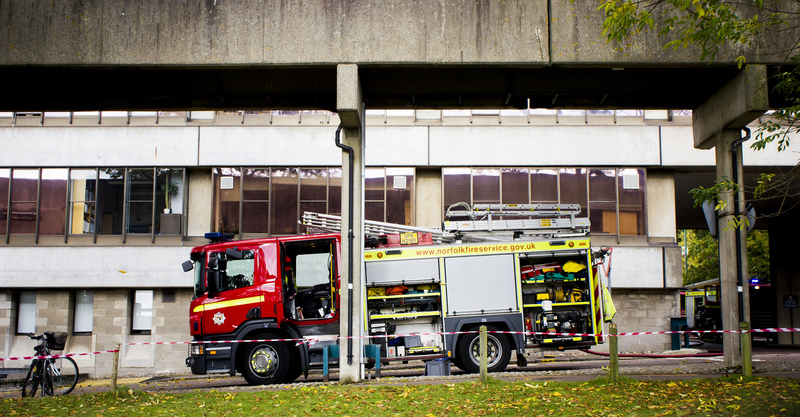 Students and staff were evacuated to the designated assembly point, but many thought it was simply a drill or malfunction with the alarm. 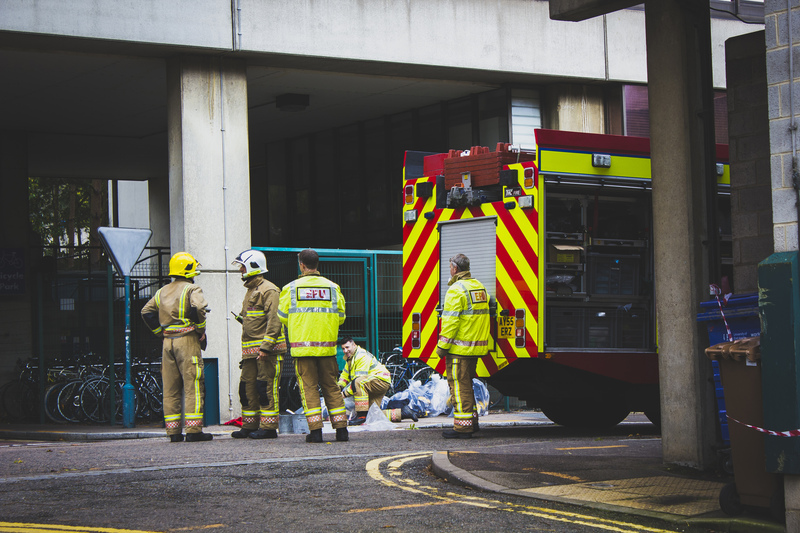 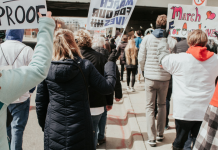 However, when eight engines arrived on the scene over the course of the morning, along with an ambulance, it became clear that this was not a false alarm. 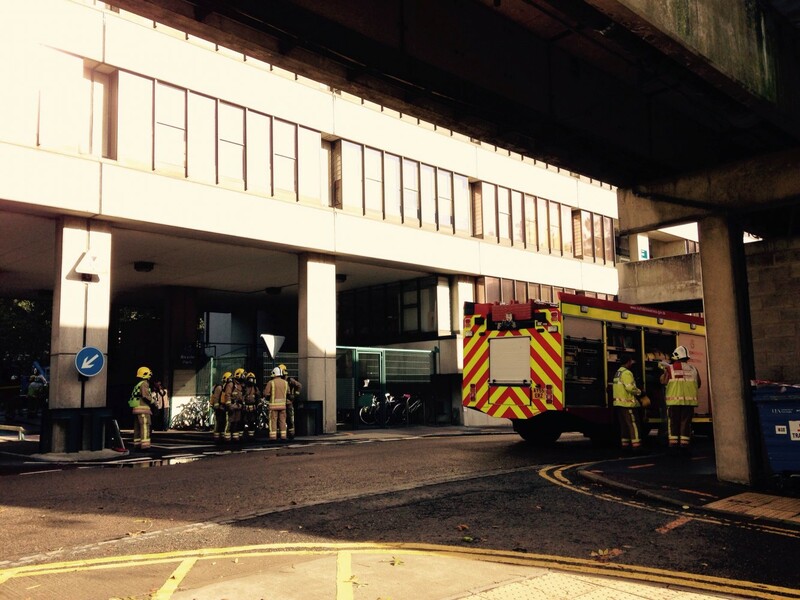 The fire started when a chemical spill occurred at the top of the building. 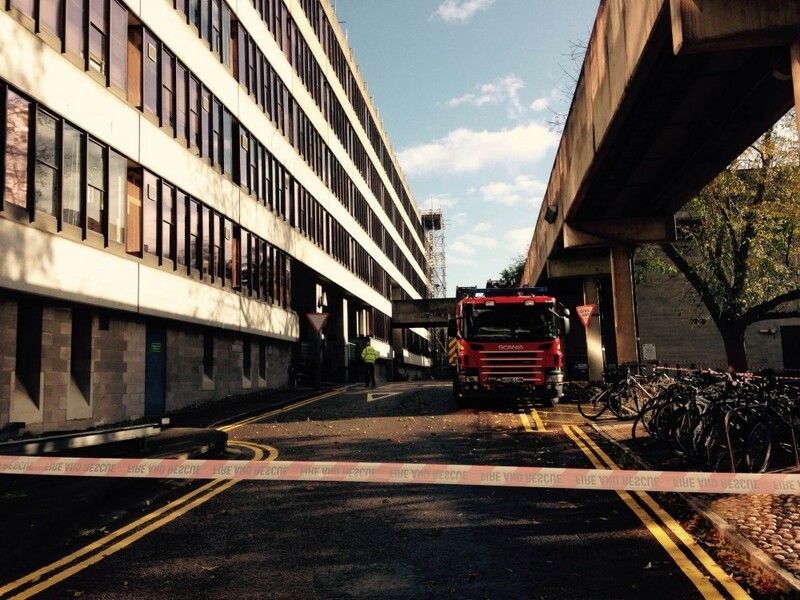 Ryan, a chemistry student, told Concrete: “The compound that was spilled was pyrophoric, meaning it is very flammable. 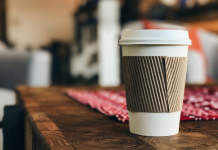 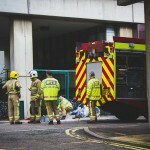 It was flowing towards a solvent fume hood full of other flammable liquids, so it could have been pretty serious”. 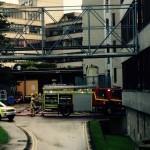 Although reported to be minor, it seems as if one person was injured in the accident, which has left the main teaching wall largely cordoned off, and it is set to remain this way until late this afternoon. 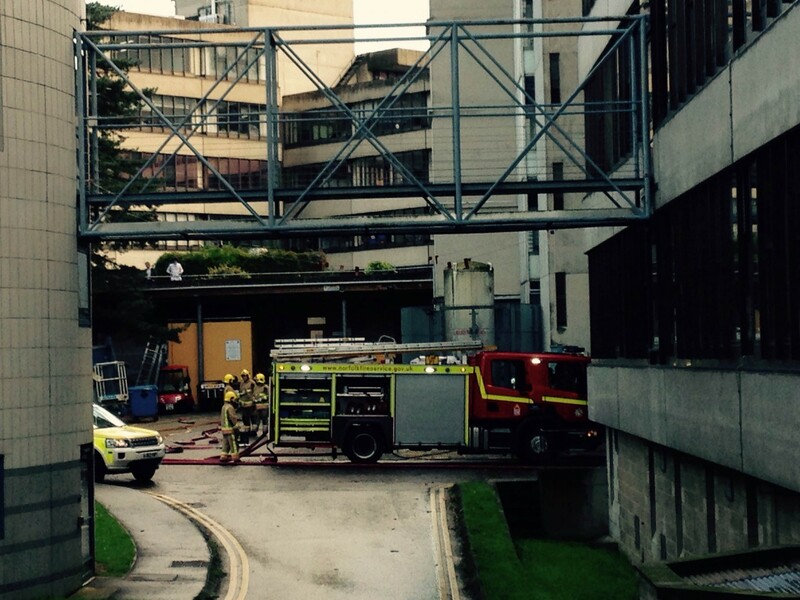 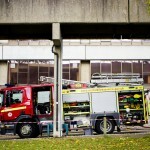 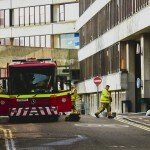 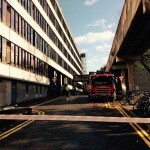 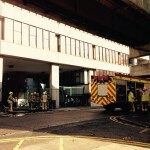 A spokesperson from UEA has said that the cause of the fire is still being investigated.